Transparency of multilateral organizations is inadequate. Access to financial data of multilateral organizations is limited. A recent study of Cordaid, Hivos and Open State Foundation found that it is still not possible to track money flows to and from these organizations. The organizations call on the Dutch government to champion transparency in multilateral organizations and to set a good example themselves. The quick scan shows that access to open data of financial information, such as budgets, expenditure and procurement, is insufficient for a large number of multilateral organizations. Controlling income and expenditure is thus in fact impossible. The Netherlands spends more than 3 billion euros a year on multilateral organizations. Relatively more financial information is accessible from institutions such as the World Bank, IFC, IDA and IBRD than from other multilateral organizations. Organizations such as the OECD, WTO, UNEP, IOM and IMF, on the other hand, have much less available financial open data. NATO is the most closed multilateral organization of the institutions examined. That image is confirmed by the NATO auditor. On procurement data, the multilateral organizations are the least open. 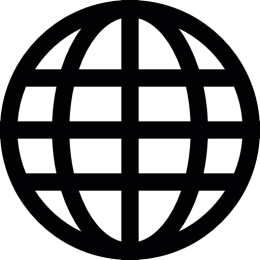 The quickscan included 24 multilateral organizations. Only 6 of the 24 organizations publish their own budget as open data. 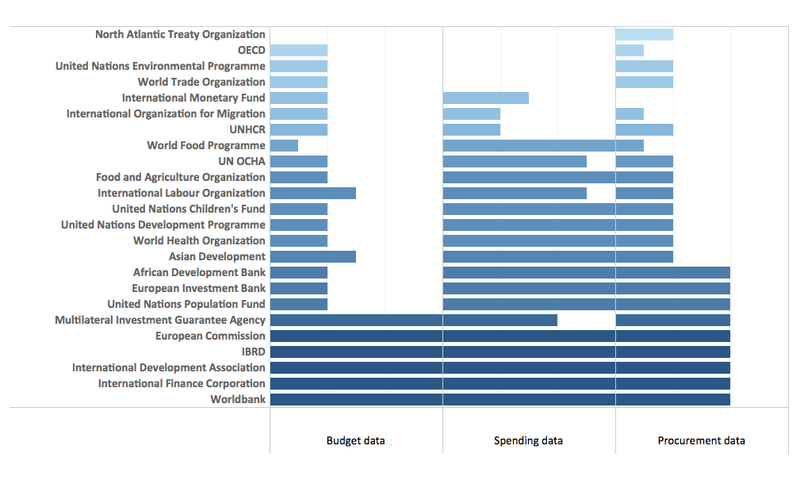 Multilateral organizations working on development cooperation publish budget data at project level but relatively little data on the budget of the organization itself. When they publish data, most organizations do so in the IATI standard. However, the quality, the scope and the period of the available data are different. Multilateral organizations only publish sporadically on tenders and procurement awards. Information on companies and institutions that get procurement contracts awarded are not being disclosed. The IMF only publishes tenders, while WFP only reports annually and limits itself to aggregated information. Only 9 out of 24 multilateral organizations publish data on procurement as open data. None do this on the basis of the International Open Contracting Standard. Multilateral organizations are of great importance to the Netherlands for the implementation of foreign policy because cross-border issues such as climate change and conflicts require an international approach. In order to be able to fulfill its active role in those organizations, it is important that access to information is also ensured in the form of open data. This improves understanding of results and effectiveness and is essential for the sustainability of these organizations. Companies want access to procurement information for an equal playing field. In addition, citizens have the right to know what public funds are spent on. As one of the pillars of the multilateral organizations, the Netherlands has a reputation with which it can lead in promoting transparency among various multilateral organizations. The Netherlands should become a champion of greater transparency of international spending.